The Hollander MakeCentral: Service Desk is located on the 2nd Floor of the West Wing and has its own hours of operation. All services except color copying, large format scanning, and poster lamination are self–serve. Staff will assist with set up and explain features of the equipment. The Hollander Service Desk has a limited amount of small office supplies, paper, and cardstock on sale. All supplies are subject to Michigan sales tax. Gift items for sale online! Or visit Hollander MakeCentral during hours of operation to purchase gift items in person. Payment is made to the MakeCentral cashier at the time of service. University Departmental Account Customer must fill out an account charge form which includes the departmental account number to be charged, department’s name, contact campus email address and phone number. NOTE: The MakeCentral does not accept Spartan Cash and cannot charge to student accounts. There are a number of coin operated/card operated copiers in each Branch Library and the Main Library. In the Main Library, these machines are available all hours the Library is open, including hours that the MakeCentral is closed. Copies made with cash on coin operated machines are 10¢ each and machines accept coins, $1 and $5 bills. Hollander Service Desk Staff will assist patrons who wish to make color copies. Staff will comply with Copyright Guidelines. We are not able to copy professional photos, passports, driver license or currency. This copier has a double-sided copy option. Price is 30¢ per side. It is possible to print to the MakeCentral laser printers from all MSU Login computers and from the Selected Resource computers. If you choose MakeCentral laser, nothing will be printed until you request printing in person at the MakeCentral which must be done within 2 hours or the print job will be deleted. There may be others ahead of you requesting printing, so please allow plenty of time before the two–hour deadline in case you have to wait. Important Note: The default print option on all library computers is MSU Print. There are a number of printers located throughout the Main Library. If you do not have an MSU Print account and click on the printer icon on the top toolbar, the print will go to the printer and disappear. If you wish to print and you do not have an MSU Print account, you must click on "File", then "Print", and choose MakeCentral. If you choose to print to the MakeCentral, you will need to identify your print job by your MSU NetID or the name and number posted on the system case of the computer from which you printed. Exception for PDF files: To print a PDF document from a PDF reader, you must use the print icon within the PDF reader window (NOT drop–down "File" menu) and choose MakeCentral. TIP: It is best to print no more than 10 print jobs before checking with MakeCentral Staff to be sure all prints are arriving successfully. There is a color laser printer in the MakeCentral. Prints may be sent to this printer from any MSU Login computer in the Main Library. It is possible to print legal and ledger size prints on the MakeCentral color printer. 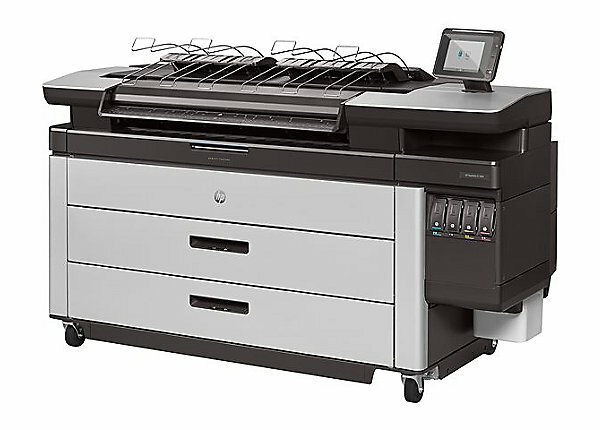 The other color printing option includes the HP Plotter located in the MakeCentral. Plotter printing is available from all MSU Login computers in the Main Library. It is not available through wireless/ MSU Print. Learn more about the Microforms Library. The Hollander Service Desk has Four ScanPro 2000 Microformat Reader/Printers. These machines allow for viewing and saving black and white images of Microfilm and Microfiche. One station also has the capability to scan Micro Opaque cards and save to searchable PDF. It possible to save scanned images to a USB (flash) Drive for no charge. For your convenience, USB drives are available for sale at the MakeCentral. See the MakeCentral supplies list for current availability and pricing. It is also possible to send scans to print in the MakeCentral for 10¢. PLEASE NOTE: Due to the length of printing time, MakeCentral staff are unable to release posters and other plots from the print queue within 30 minutes prior to closing time. Premium paper is available for posters and is an additional charge (see pricing grid). Poster Printing is self-serve process and patrons must come to MakeCentral to print their poster. Posters may be sent from the lab computers (MSU NetID Log in required) on 2 West. MakeCentral staff will assist with sending posters, but are not trained to provide technical help for poster set up in various software packages, such as PowerPoint and Adobe Photoshop. Please read the tip sheets for information about setting up prints for the plotter. These tip sheets include specific information on using PowerPoint, Adobe Photoshop and Adobe Reader. Color or black and white scanning. High quality, fast, no log in required. Designed to be easy to use with large friendly buttons, the Simple Scan Station's touch screen guides you through the scan process including choosing the file formats, scan quality, color, file name, and destination. You can send faxes from the Main Library MakeCentral's Simple Scan Station. The fax is sent to the phone line through the internet. Faxes within the U.S. and Canada cost $0.50 per page. International faxes cost $1.00 per page. 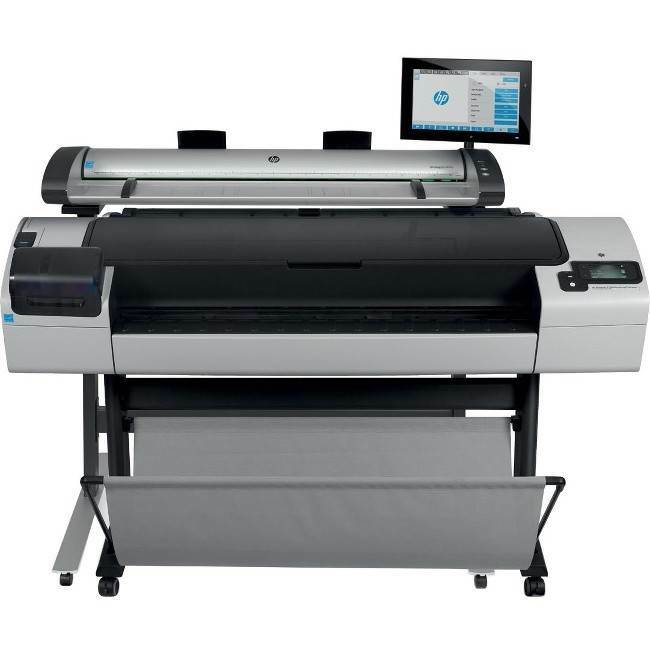 The HP Designjet SD Pro Scanner delivers outstanding copy and scan performance. Scan, then save (to USB drive) or print (to the attached HP Plotter) with high processing speed. Powerful scan resolution creates high-quality images with realistic colors and precise lines. It has a resolution of 1200 dpi optical and 9600 dpi scanning resolution. We offer a variety of cover colors, including transparent, and binding combs in various sizes as well as colors. Supply costs vary, but most items are bound for less than $2, which includes cover set and comb. Staff will be happy to show you how to use the binding machine for punching your materials and adding cover and spine. We offer self serve Pouch Lamination products. Protect and enhance your documents by laminating. Laminating pouches are available in a variety of sizes. MakeCentral stocks wallet, letter and ledger size lamination pouches. Lamination Clear pouches give a high-quality, glossy, and glass-like appearance to laminated items. Please note: Lamination is not recommended as a long term preservation option for family heirlooms etc. and certain types of ID can become invalidated if laminated. MakeCentral offers large format lamination for documents printed on the poster printers. Protect and enhance your poster with lamination. We can laminate documents up to 36 inches in length on one side by any length on the other side. Poster lamination is a staff mediated service, with a 24 hour turnaround period Mon-Fri. Patrons may pay for the lamination service after completion at the time of pick up. See pricing grid for cost information.